Whether you drive a short distance or a long one daily, you deserve a reliable, safe ride. As commuter cars go, one of the best is the 2017 Toyota Yaris. This three-door or five-door hatchback is built for safety as you will learn in this review. Pitts Toyota dealer serving Dublin, GA, is your home for the latest deals on the affordable Yaris. Toyota uses its Star Safety System to keep Yaris drivers out of harm’s way. Sensors communicate, constantly sharing data, and acting in real time to make corrections. This may mean lowering speed through throttle reduction or balancing wheelspin through brake redistribution. For quicker stops, Brake Assist adds more stopping power when it senses a driver’s emergency braking actions. In the case of an accident, the Yaris body seeks to deflect impact. High-tensile strength panels protect the sides from intrusion. Crumple zones absorb frontal impact, minimizing the intrusion into the cabin. A collapsible steering column also absorbs impact energy, keeping it from reaching the vulnerable driver. Find financing for Toyota’s most affordable car. Nine airbags demonstrate a commitment to passenger safety. More protection is ready to spread throughout the cabin if triggered by crash sensors. Toyota engineers also constructed a special head-impact structure to protect the driver and front seat passenger. Whiplash-lessening seats move with the front seat riders, catching them and reducing the chances of a life-threatening neck injury. Value your trade. With all of these standard systems working together, the Yaris has a good chance of keeping its passengers safe. 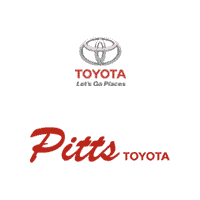 Take a test drive at Pitts Toyota dealer serving Dublin, GA.